Do what you love; love what you do. It’s a mantra many try to live by, but most are unable to accomplish. World-renowned DJ and producer Afrojack is one of the select few lucky enough to be living his dream. Traveling the world, making music for the masses – it’s no surprise why the 27-year-old recording artist feels blessed. “It’s not a job for me,” he said in a recent interview with WetRepublic.com. Why would it be? When you can call Wet Republic Ultra Pool at the MGM Grand Hotel & Casino your weekend office, there’s not much to complain about. 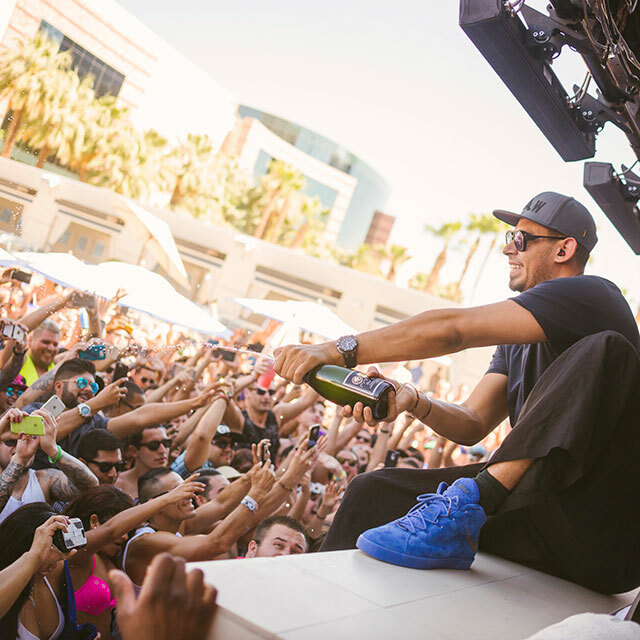 Afrojack also noted that there’s very little to hide at a venue like Wet Republic. It makes for a more intimate setting. “Everything is (lit) and everyone is exactly who they always are in daytime, which shows them even more their true self which makes it a totally different party,” the superstar DJ said. Afrojack has been heating up the airwaves with his newest track, “SummerThing!”. The song, which features vocals from Mike Taylor, brings an upbeat vibe, fitting for this time of year. You can watch the music video to his new tk by pressing play on the music player down below. Afrojack returns to Wet Republic twice in the month of August! Purchase tickets through the following links.